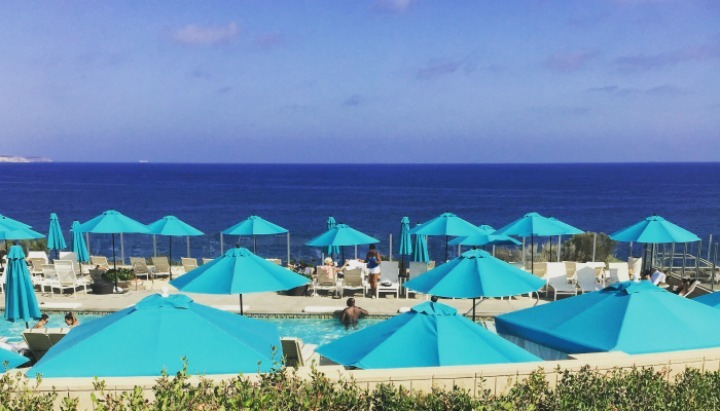 You may remember last year when my husband, Baby Awesome, and I attended the Terranea Ambassador Getaway. It was so much fun and we had an incredible time. 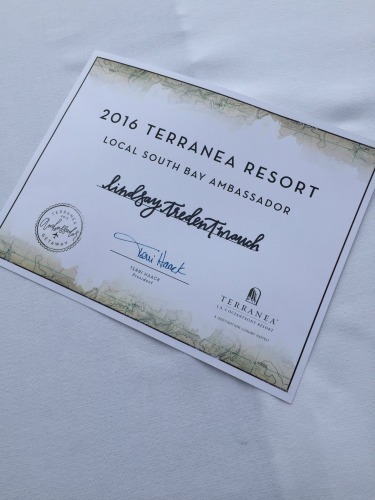 I was so thrilled when they announced the 2016 Terranea Ambassadors at the end of the event and I was chosen to be the 2016 Local South Bay Terranea Ambassador. For those of you unfamiliar with Terranea Resort, it is a resort located in the rolling hills of Palos Verdes. Those of you who have lived in LA for awhile might recognize Terranea’s location because it was built where Marineland used to be. In my opinion this resort is one of LA’s best kept secret. My husband and I have been going to Terranea for weekend staycations, celebratory dinners, and a place to take out of town guests when they come into town to visit ever since we discovered it back in 2011. 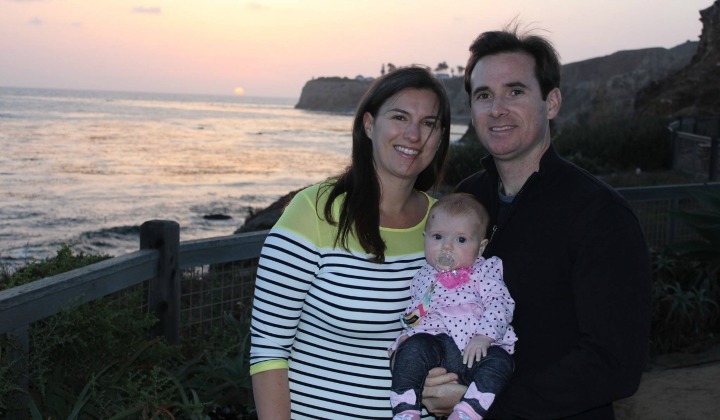 Celebrating my first birthday as a mom at Terranea Resort in May 2015. Coffee at Seabeans. They serve a brand called Black Coffee that is low in acidity and incredible. I attended a tasting last year and have been hooked ever since. They’ve also got a great spa that also has a healthy snack bar. I had an acai bowl there one morning after swimming laps last year and it was so good. Our family will be going to Music on the Meadows and I’ll be writing a recap of my experience for the Terranea blog. I can’t wait! I am really excited to head back to my favorite place and also looking forward to seeing Kate Voegele perform. I worked at MySpace during the time she was signed to MySpace Records so it will be like a trip down memory lane for me. I am looking forward to spending the day at Music on the Meadows with my family. 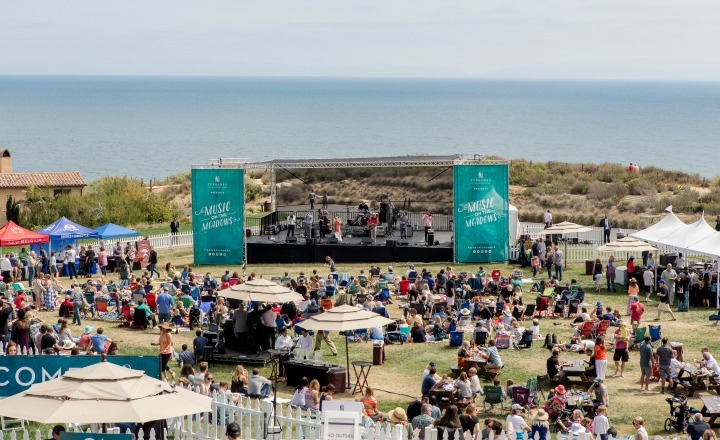 I’ve teamed up with Terranea Resort to give away one pair of TWO tickets to Music on the Meadows to one lucky winner. This is a great local outing for those of you who are in LA or the SoCal area. You can enter below, or you can purchase tickets by visiting the link here. The winner will also receive a Music on the Meadows prize pack featuring a t-shirt and hat. Stay tuned for more Terranea Ambassadors throughout the summer. Good luck! What about you? Have you ever been to Terranea Resort? What are your favorite things to do there? If you haven’t been there, what would you like to do? Post in the comments and let me know! I am so thrilled to have been selected as the 2016 Local South Bay Ambassador for Terranea Resort. Terranea is my happy place and holds a special place in my heart. Um, that sounds like the perfect afternoon! Would love any opportunity to come back! I’ve only ever been to one resort hotel and this sounds much better than that! How come I have never heard of this place!! Oooo if I don’t win I think I might have to throw down some cash and go to this event. Yasssss! Maybe we can get Caritta to join us too. That would be so much fun. I always say Terranea Resort is LA’s best kept secret. It’s such a special place! Yes, I got married there on June 9, 2012. I haven’t been back since but will get there for our 5-year anniversary next year.